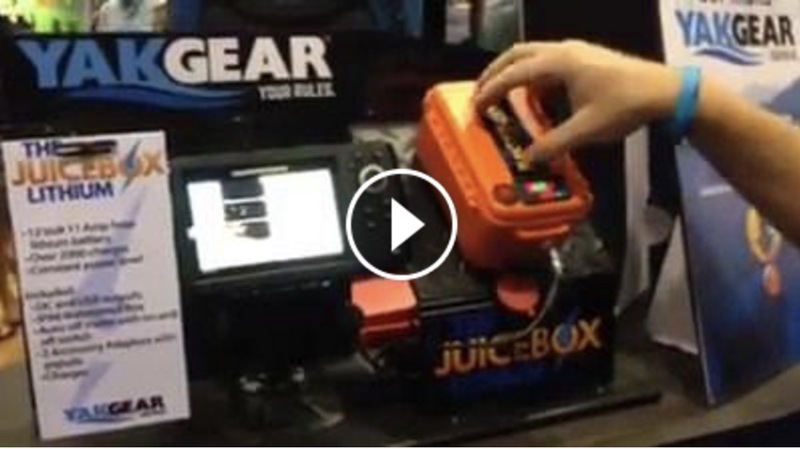 The Kayak Supply to End All Kayak Supplies: Introducing the JuiceBox Lithium! The YakGear crew loves a good road trip, and in late July we packed our bags for Orlando’s ICAST, a chance to take in some of the industry’s latest and greatest offerings, and show off some of our own. While we were there, we were glad to meet up with Robert Field and the rest of the YakFish TV crew to talk the ins and outs of one of the greatest new kayak supplies out there — the JuiceBox Lithium. Not yet available, but coming soon, the JuiceBox is a waterproof kayak battery that keeps you covered while you’re enjoying the great outdoors. Charge your cell phone, track battery and rest assured this equipment is built to hold up through thousands of charges. Check out what Robert had to say, and stay tuned! More information is coming soon.